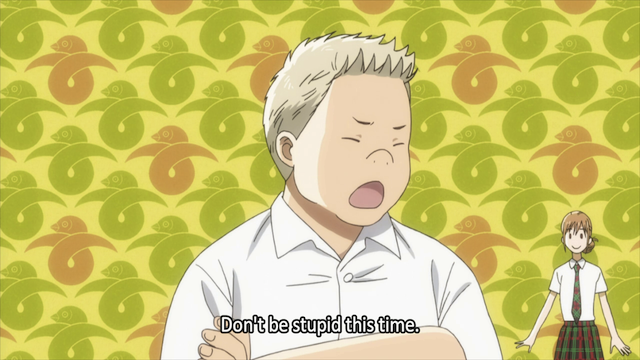 Episode 16 of Chihayafuru is mostly a recap episode, but between recap segments we are treated to a number of short gags. These short comedic moments managed to explore some side issues that you might have wondered about, such as where does Nikkuman get all of his T-shirts? 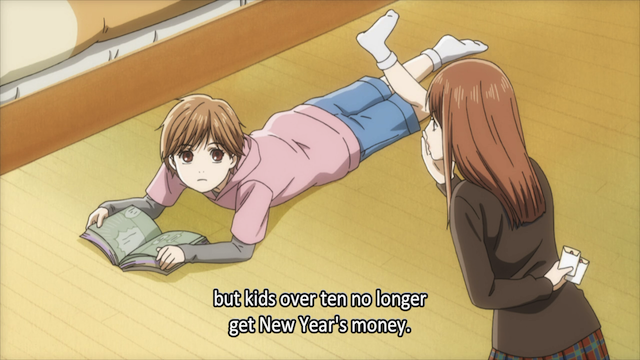 Chihaya's older sister brazenly steals her New Year's money. 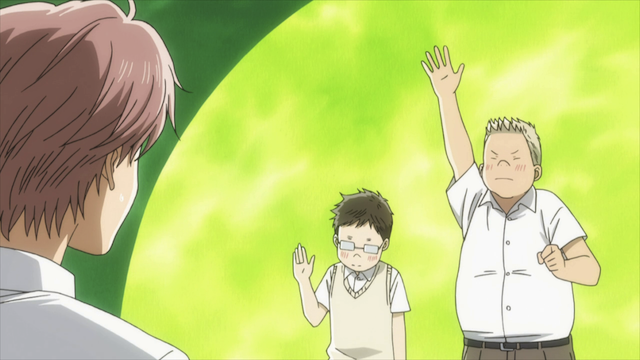 The recaps felt quite natural, because the episode starts off with a series of gags about Chihaya not getting her New Year’s money. The feel was as if we were getting additional stories from when they were kids. Taichi gets his fair share of abuse. I rather liked the way this episode was used to show characters interacting in a different way than they would if we just stuck to the main plot. 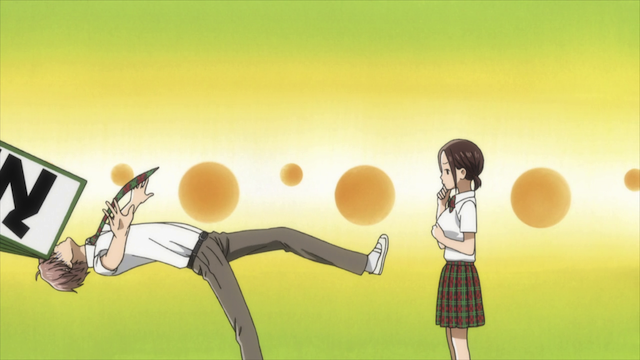 The guys discuss Kanade's ample good points. I suppose what made these segments work was that they were both amusing and had some truth to them as well. If they were just jokes, I don’t think it would have worked quite as well, because the conceit here is that we are gaining some additional insights into the characters. 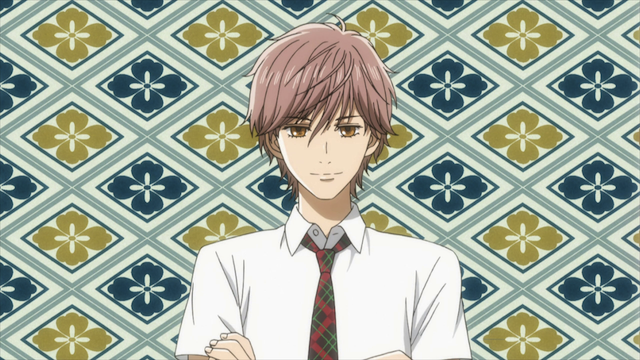 Meta discussion of the anime by the characters. 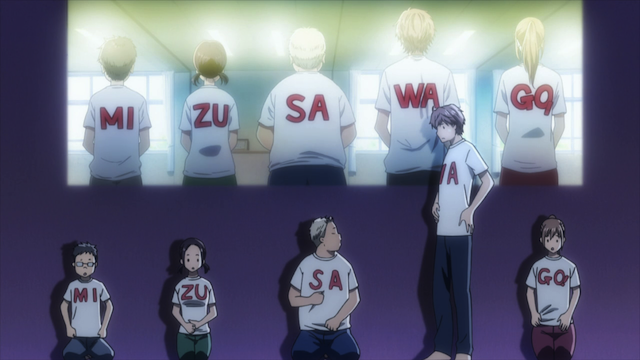 They even managed to address something I had been wondering about for some time: those shirts the club is shown wearing in the OP are not very practical. Most of the gag sequences used abstract backgrounds. This episode carefully avoided advancing the plot in any way, but it ended up being clever and fun. It has the feeling of the sort of episode one airs when broadcast falls on a major holiday (like New Year’s Day), and viewing audiences are going to be lower than usual.